aedes architecture forum is a world-renowned independent institution and exhibition space for the international communication of contemporary architecture and urban design. established in 1980 as the first private architecture gallery in europe, the aedes architecture forum has gained a large international partnership network, which feeds to an outstanding cultural platform for the global and public discourse of the built environment. 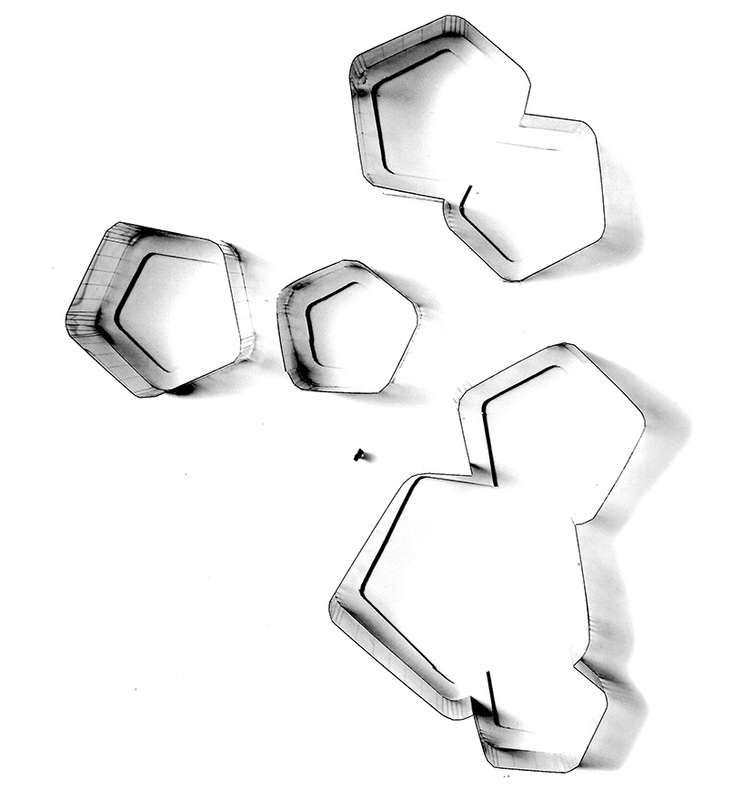 founded by kristin feireiss and helga retzer, aedes has been co-directed by hans-jürgen commerell since 1994. as one of its kind, aedes served as a prototypical model for many architecture-museums and similar institutions established later. the venue has recently hosted exhibitions by 3XN, DS+R, and mecanoo, among others. 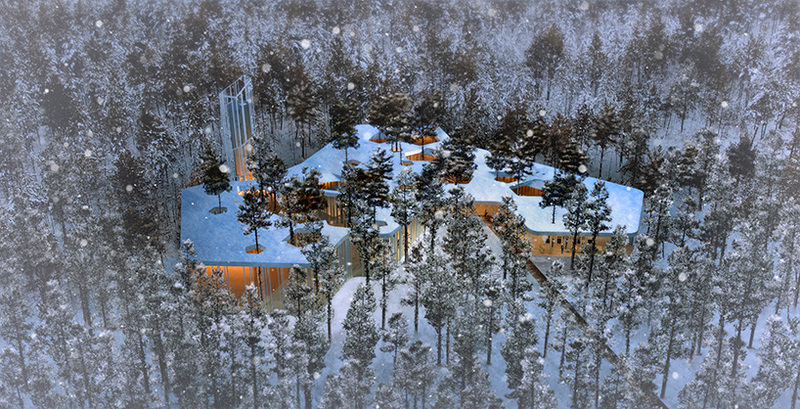 an exhibition opening next month at berlin’s aedes architecture forum takes a closer look at the ‘arvo pärt centre’ — a cultural complex currently under construction in estonia. after an international contest, madrid- and berlin-based firm nieto sobejano arquitectos was chosen to complete the building, beating out proposals from AZPML and zaha hadid architects, among others. 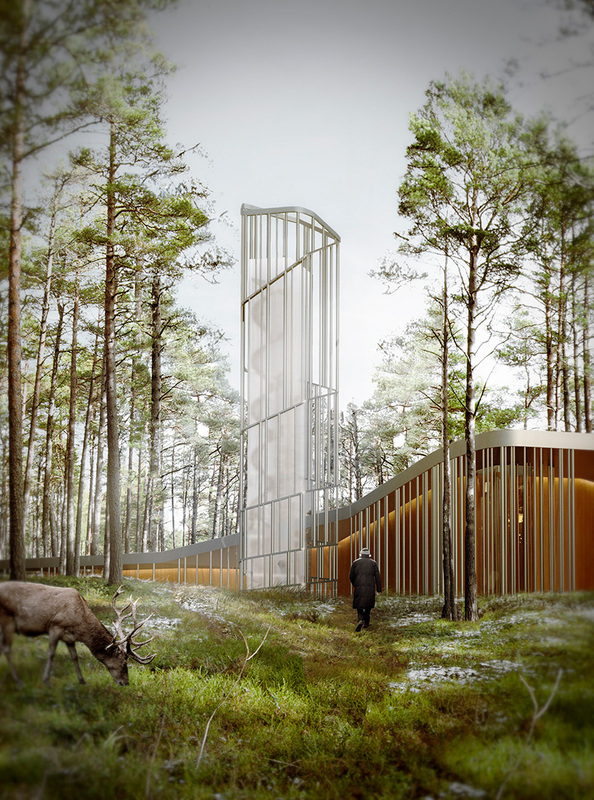 situated in the village of laulasmaa, 35 kilometers from tallinn, the structure will contain an archive of estonian composer arvo pärt’s work — providing a research and learning environment for cultural education. located on a peninsula and surrounded by pine trees, nieto sobejano’s design responds to its natural setting with a relatively low-lying structure. 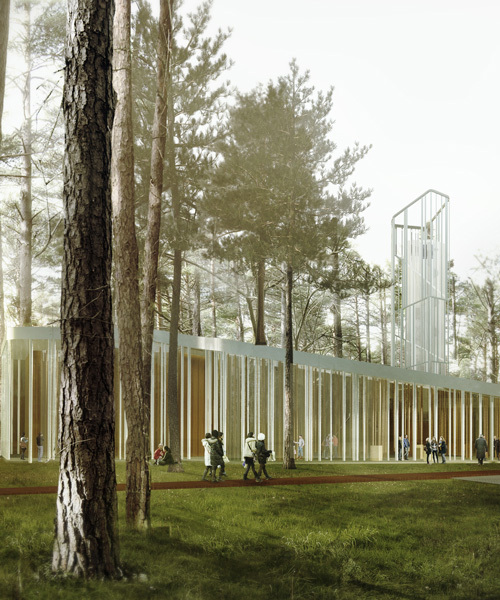 with trees puncturing its roof canopy, the arvo pärt centre will cover an area of 2,350 square meters, containing the archive, a library, a 150-seat chamber hall, an exhibition area, a video hall, classrooms for cultural education, and work spaces for staff. the building is on track to open to the public in autumn 2018, the year that estonia celebrates its 100th anniversary. titled ‘TABULA’, the exhibition at the aedes architecture forum will include an installation that seeks to capture the atmosphere of the arvo pärt centre, with visitors able to listen to arvo pärt’s composition ‘tabula rasa’. in order to offer an in-depth look at the project, the building’s defining elements will be displayed resting on a figurative plane in which ‘shape, rhythm and transparency will become distinct parts of the conceptual presentation’. in addition, arvo pärt’s music will serenade visitors as they move through the exhibit. TABULA opens on december 8, 2017 and continues until january 16, 2018.